Reports have emerged on Sunday night indicating that Jurgen Klopp has a big decision to make ahead of the Champions League this week. The Liverpool boss and his side travel to Belgrade, Serbia to take on Red Star in the competition’s group stage. Red Star Belgrade, now known as Crvena Zvezda, lost 4-0 to the Reds at Anfield two weeks ago but with their fans banned from that fixture, there was little trouble reported. 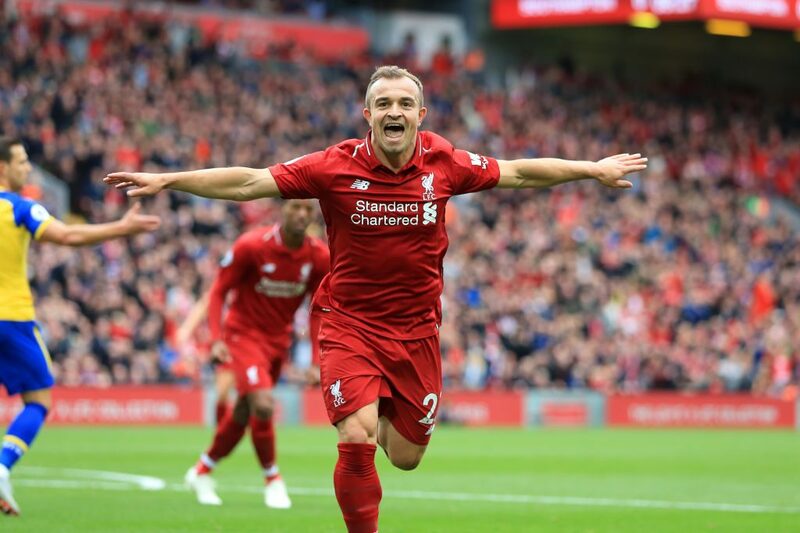 But this home fixture for the 1991 European Cup champions sees Jurgen Klopp faced with making a decision on a potential flash-point in Xherdan Shaqiri. The Telegraph and The Times report that Klopp may leave the Swiss forward in Liverpool for the Tuesday evening encounter, and is said to be leaning towards doing so. Of course, that would only be for this fixture, with Shaqiri not out-of-form or being disciplined in any way. It is due to the 27-year-old’s history with Serbia, which culminated in the scenes at this summer’s World Cup. In a group game between his Switzerland team and Serbia, Shaqiri scored a superb last minute winner, and both he and teammate Granit Xhaka celebrated scoring by making a double eagle gesture with their hands representing the Albanian flag, viewed as a symbol of defiance. Shaqiri comes from an ethnic Albanian family from Kosovo, a former Serbian province. It was there that thousands were killed and tens of thousands more chased from their homes during a 1998-1999 conflict between Serbian forces and ethnic Albanian guerillas. The media reaction to the celebrations in Serbia told the whole story. While The Telegraph state that Klopp merely wants to avoid a circus around the fixture, as opposed to being worried about safety or violence, it would perhaps be wise to err on the side of caution.